The High Desert Chapter has scheduled several events to celebrate Native Plant Appreciation Week (NPAW). Some require a sign up as space is limited. Visit the calendar for more information. Registration links included below. 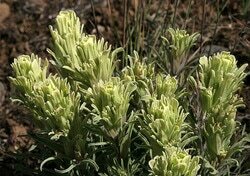 • Plant of the Day: Each day a native plant will be featured (photos and short info) on Facebook pages for the High Desert NPSO, Deschutes National Forest and Discover Your Forest. • Mini Bot Walks: Jenifer Ferriel, Deschutes/Ochoco Forest botanist, will provide 30 minute mini tours of the native plants around the Deschutes Forest Office located on Deschutes Market Road. Tours at 12pm on April 23-25. No RSVP needed. 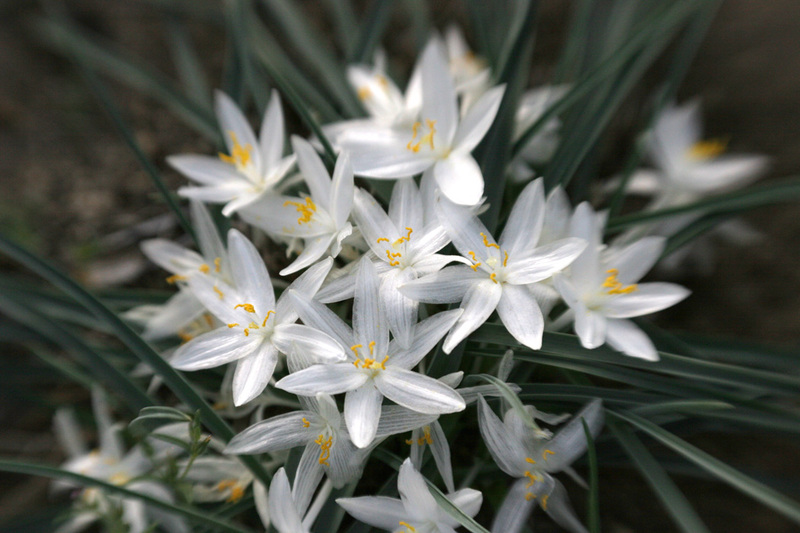 • Spring Social at WinterCreek Native Plant Nursery: Wednesday, April 24 from 4-6pm. Bring a brown bag dinner and drinks. Self tours of the nursery and native plants will be available for purchase. No RSVP required. Free. • Seed Extractory Tour: Tuesday, April 23 at 2 pm. RSVP required via EventBrite as it is limited to 12 people (no walk-ins). Free. Sign up required, please use links to events below. Shop using AmazonSmile and 5% of your qualifying purchase is donate to the Native Plant Society of Oregon. ​Click the graphic at left... and starting shopping! The High Desert Chapter of the NPSO invites those living in Central Oregon's high desert region who have a passion for native flora to join our group. 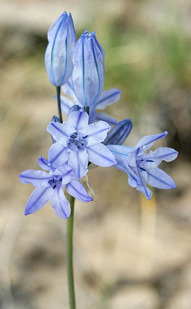 You don't have to be a botanist to be a member, just have a love for the native flora of Oregon! We have wildflower/plant hikes in the summer months, help organize the annual Central Oregon Wildflower Show, schedule workshops or host guest speakers when we can't be out botanizing and chasing wildflowers. For membership information, please visit the membership tab in the main menu bar. For more than 50 years, members of the Native Plant Society of Oregon have been visiting the wild places of Oregon to enjoy, conserve and study its natural vegetation. Founded in Portland in 1961, NPSO has grown to a statewide network of 14 chapters with nearly 1,000 members. For more information about the state level of NPSO, click the button below. 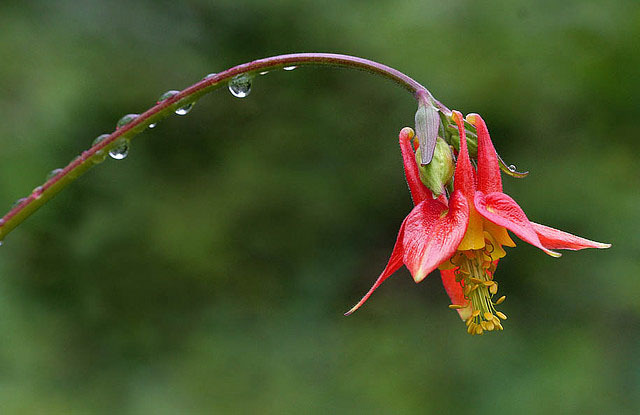 Oregon has more than 3,600 species of native plants. Large or small, abundant or rare, each is unique and special. More than 450 of Oregon's native plant species are listed as threatened or endangered by the Oregon Biodiversity Information Center. Native plants provide food and support for wildlife that introduced plants cannot. Ecoregions ranging from coastal sand dunes and mountain forest to prairie grasslands and alpine lava fields provide a myriad of habitats for these plants. Conserving and preserving species and habitat for all native species, but especially those in danger, is a priority for NPSO. NPSO works tirelessly for plant and habitat conservation. Oregon would not have an Endangered Species Act if, in the mid-1980s, NPSO members had not sought out legislators, attended endless committee meetings, testified at hearings, and educated legislative staff in order to explain the importance of plant protection. Today, NPSO state conservation chairs track major issues and chapters are involved in local efforts to protect and conserve threatened and endangered species. We carry out rare plant surveys and monitoring programs; we have developed guidelines and policy regarding native plant gardening, ethics, grazing, mining and forest management; and we are involved in plant salvage and re-introduction. Regional chapters sponsor field trips and work parties, involving members in conservation of Oregon's diverse plant heritage. NPSO offers a yearly college scholarship for study within the state, as well as field research grants for botany students, giving many young people the opportunity for hands-on experience in plant research and conservation. NPSO is proud to be helping the Oregon Flora Project in its efforts to produce a modern flora, an online Atlas of Oregon Plants, and up-to-date plant checklists.